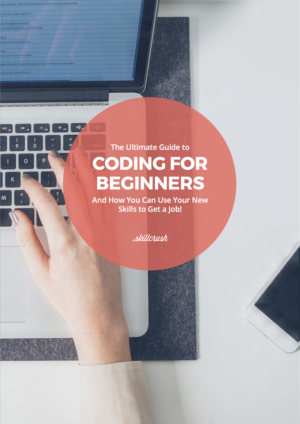 Make a plan for learning the tech skills you need to land a new job with this 60+ page FREE ebook! Starting with the Big Three of higher pay, creative work, and a flexible schedule, there’s a pretty massive list of reasons why tech is an attractive field to work in. But what does it mean to “work in tech?” When you’re new to the idea it feels like there’s a lot of jargon to cut through. What is a Front End Developer? 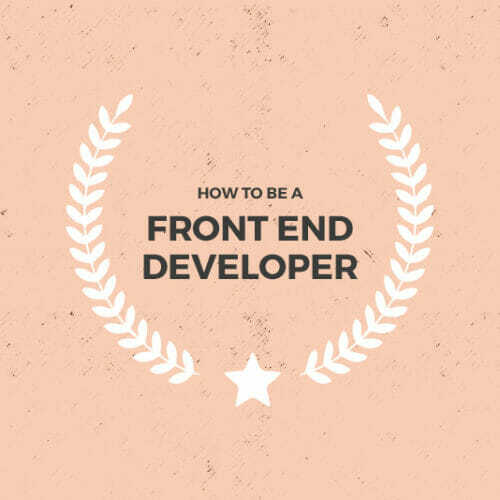 If you’re looking to break into tech, front end development is both a straight ahead and versatile way of getting there. You’ll have a specific base of skills that’ll make you attractive to employers, but one that’s broad enough to let you find an employment opportunity that works for you. Trust me, there’s no shortage of demand for front end development in a variety of jobs and environments. For some of you, this thumbnail might be enough to get started on your own coding odyssey. But if you’re like me and have an easier time moving forward with specifics you can visualize, an overview of the skills you’ll need for front end development might be helpful. A quick scan of current job listings for front end developers shows that there’s a clear and common pool of skills employers are looking for. As I’m writing this, the first three front end developer job listings I pulled up on Glassdoor.com have a lot in common. These are all terms that will become super familiar to you as you start learning tech skills, but to ease you in, here’s a digestible list (and description!) of 10 essential skills every front end developer needs. I know, these two terms keep coming up. There’s a good reason, though. You won’t find a single front end developer job listing that doesn’t call for (or assume) proficiency in these two languages. But let’s take a step back and look at what HTML and CSS are. HyperText Markup Language (HTML) is the standard markup language used to create web pages. A markup language is your way of making notes in a digital document that can be distinguished from regular text. It’s the most basic building block you’ll need for developing websites. CSS (Cascading Style Sheets) is the language used to present the document you create with HTML. Where HTML comes first and creates the foundation for your page, CSS comes along next and is used to create the page’s layout, color, fonts, and…well, the style! Both of these languages are absolutely essential to being a front end developer. Simply put, no HTML/CSS, no web development. In some instances a very simple website or web page is fine, but for situations where you need interactive features—audio and video, games, scrolling abilities, page animations—JS is the tool you’ll use to implement them (though as CSS evolves, it’s starting to handle a lot of these duties as well). We did, but they’re both such a big part of front end development that a lot of other skills you’ll need are going to build off of them. Frameworks have their strengths and weaknesses—don’t we all!—and it’s important to choose the best framework for the type of website you’re building. For example, some JS frameworks are great for building complex user interfaces, while others excel at displaying all of your site’s content. Since you’ll be using CSS and JS all the time in your web development, and since many projects start with similar style elements and code, knowledge of these frameworks is critical to being an efficient developer. Yes, another skill related to CSS! CSS on its own, while essential, can sometimes be limiting. One of these limitations is that fact that you can’t define variables, functions, or perform arithmetic operations. This is a problem when a project grows in scale and code base, as you’ll soon find yourself wasting a lot of time writing repetitive code to make changes. Like CSS (and JS) frameworks, CSS preprocessing is another means of making your life as a developer easier and more flexible. Using a CSS preprocessor like Sass, LESS, or Stylus, you’re able to write code in the preprocessor’s language (allowing you to do things that might be a huge pain with plain old CSS). The preprocessor then converts that code to CSS so it will work on your website. Let’s say you decide to tweak the shade of blue you’re using across a site. With a CSS preprocessor, you’d only have to change the hex value in one place instead of going through ALLLL your CSS and changing the hex values everywhere. Almost halfway through the list, and we’re finally to a skill without HTML, CSS, or JS in the name. 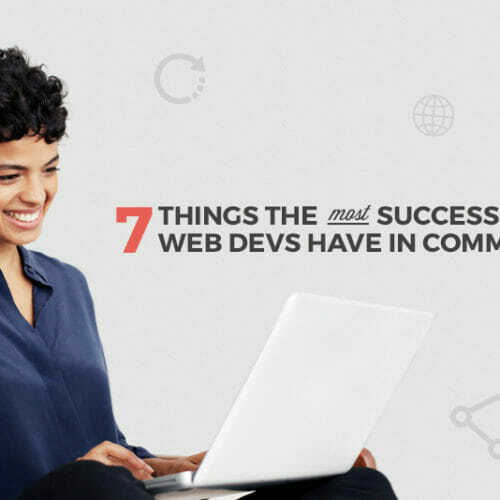 After all your hard work marking up with HTML, styling with CSS, and programming with JS, you’ll have gone through a number of revisions in your development. If something goes wrong along the way the last thing you’ll want to do is start over from the beginning. Version control is the process of tracking and controlling changes to your source code so this won’t happen. Version control software—like open source stalwart Git—is a tool you’ll use to track those changes so you can go back to a previous version of your work and find out what went wrong without tearing the whole thing down. As you might imagine, this a skill that you (and your prospective clients and employers) will be very happy to have. Remember the other day when you only used one device to look at a website? Yeah, me neither. The days of desktop (or even laptop) PCs being the only way of viewing websites are so far gone that I won’t date myself by talking about them. These days we use any number of computers, phones, and tablets to look at web pages. Ever notice how these pages adjust themselves to the device you’re using without you doing anything on your end? This is due to responsive design. Understanding responsive design principles and how to implement them on the coding side is key to front end development. One cool thing to keep in mind regarding responsive design is that it’s an intrinsic part of CSS frameworks like the aforementioned Bootstrap. These skills are all interconnected and so as you learn one you’ll often be making progress in the others at the same time. From a website for your mom’s dog walking business to an international site for online banking, bugs are a reality of the development process. 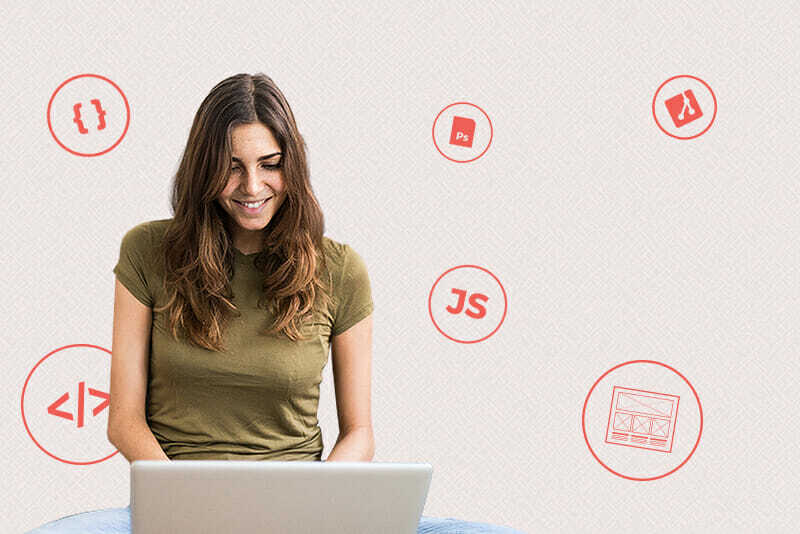 In order to keep things moving you’ll need to test your code for bugs along the way, so the ability to test and debug makes the list of essential skills for front end developers. There are a couple of different testing methods for web development. Functional testing looks at a particular piece of functionality on your site (like a form or database) and makes sure it does everything you’ve coded it to do. Unit testing is another method. It tests the smallest bit of code that’s responsible for one thing on your site and examines it individually for correct operation. Testing is a big part of the front end development process, but fortunately, it’s another area where there are frameworks to help you. Programs like Mocha and Jasmine are designed to speed up and simplify your testing process. Users will ultimately be interfacing with your websites through a web browser. The way your site is rendered by these browsers is going to be a big part of whether your work is successful or not. Similarly to the testing and debugging mentioned above, all modern web browsers come equipped with developer tools. These tools allow you to test and fine tune your pages in the browser itself, in ways specific to how the browser is interpreting your code. Carrying out these tasks that lead to better web performance can be another front end time-sink, but that’s where building and automation tools come in. Programs like Grunt and gulp can be used to automate image optimization, CSS and JS minifying, and other web performance chores. In the ongoing quest for efficiency, it’ll be in your interest to get familiar with them. In a lot of ways, the proliferation of Graphic User Interfaces (GUIs) into computing was one of the best things to ever happen. Who wants to type lines of esoteric commands onto a dead screen in order to get around a machine? It’s a lot easier to point and click on a lively, interactive menu. GUIs can be alluring when it comes to web development and coding as well. And they’re often fine and handy. But an all-purpose GUI is going to have its limitations for some specific applications. There are going to be times when you’ll need to open a terminal on your computer where you can enter typed commands (command line) to get what you need. It’s the difference between your computer only yielding what’s available on the surface and being able to get what you need by digging in with your bare hands. Even if the majority of your work is still done through a GUI, you’ll add serious cred to your front end skills if you have a mastery of the command line. 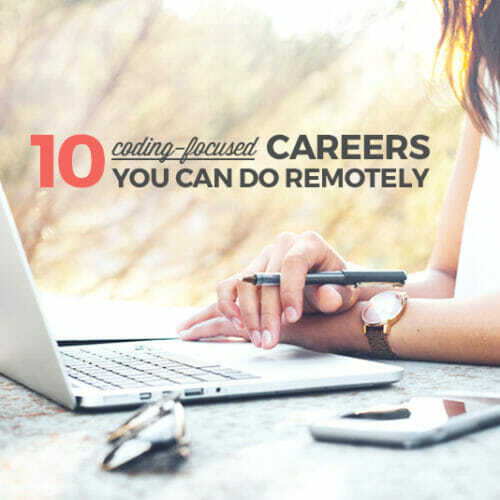 As easy as it is to get fixated on the new, fancy sounding skills you’ll need in a tech career, there are some more familiar skills that you shouldn’t overlook. At the end of the day, these kinds of soft skills are just as essential for tech as they are for any other industry. Don’t forget to keep honing your overall professionalism as you head down your road to a new career in the coolest, most innovative field going! And check out the infographic below for an overview of the skills you need. Prev: 10 Amazing Women Who Shaped the Tech Industry Next: What’s It Really Like to Be a WordPress Developer? 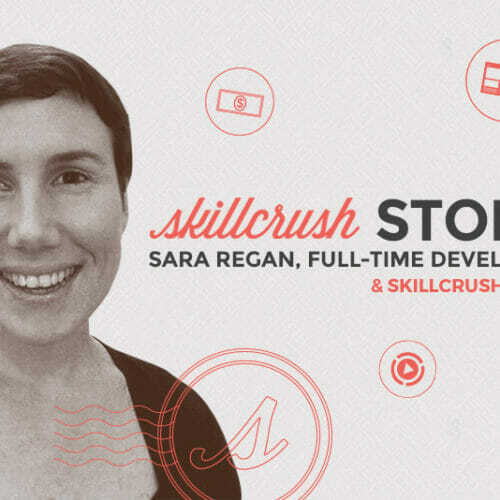 From Skillcrush Teaching Assistant to Full-Time Developer—I Took a Few Detours, but I Got There!